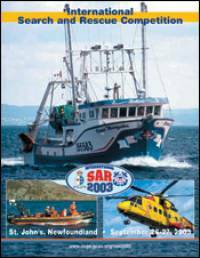 A complete section of the CCGA Web Site is devoted to the next International Search and Rescue Competition - ISAR 2003. The competition will take place in St. John´s, Newfoundland on September 26-27, 2003. The site provides information to the public, participants and sponsors of the event. The ISAR 2003 promotional gear is also on sale on this section of our site.